After the processor and the motherboard, the next most important component in a rig is the internal hard drive. With just two major players remaining in the market – Western Digital and Seagate (Hitachi storage division was acquired by WD and Seagate recently acquired Samsung’s HDD division) it may seem simple to make a decision. If only. With each brand having a separate line of hard drives for various use case scenarios, budgets, etc., there are some factors which you need to look out for if you are buying an HDD. One of the major buying decision is based on the capacity of the hard drive. Nowadays, with 3 TB drives available in the market, one is spoilt for choice going from 250GB all the way to 3TB. If you plan to install basic work related programs or office suites on your system, then a minimal 250GB hard drive is more than enough. But we know that is not the case with home users, who want to store all their movies, applications, games, etc., on the HDD. So based on your data size, or the amount of data you plan to put into your HDD you should so for the capacity accordingly. Important Note: While a couple of months back, memory was quite affordable, due to the unfortunate floods in Thailand (where most of the HDDs are manufactured), internal HDD prices have shot through the roof in recent times. There has been a 20 to 40 per cent jump in the prices. This wave is expected to last till March at least. Hard drives being mechanical in nature, attention needs to be paid on the rotational speed. If you are looking at a performance drive and do not have the budget for an SSD, going for a 5400 RPM drive is pointless, as that drive is not geared for fast performance. You should aim for the 7200 RPM drives ie. Western Digital Caviar Black series drives and Seagate’s Barracuda XT series should be on your radar. For extreme performance go for the 10,000 RPM WD Velociraptor drive. If you want a high capacity drive with moderate performance, then the 5400 RPM drives make more sense as you are aiming at a economical cost per GB. Western Digital Caviar Green series and Seagate’s Barracuda LP series are your friends here. This is simple. Look for a hard drive that has more cache memory. All other aspects remaining constant, a drive with higher cache buffer will give a better performance. The maximum cache buffer available on HDDs is 64 MB. Having a drive which has platters with higher areal density ensures faster access of data. In an internal HDD, the magnetic heads mounted on arms move along the span of the HDD thanks to an electric motor called an actuator. This is how data is written to or read from the disc. Now if you have more number of platters per HDD, then naturally it will take time to read/write on the disc. Whereas if you have a higher areal density, that will equate to more bits fitted on a platter, which means that all other things remaining constant, the head will read off more data per linear inch as the HDD spins. So a 2 TB HDD with four 500GB platters, will be slower than one with two 1 TB platters. 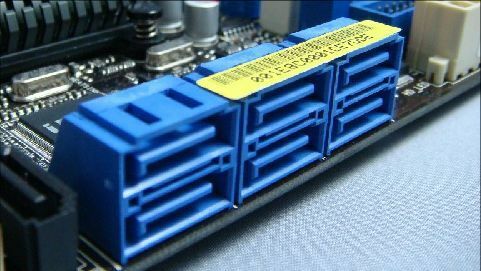 Since most motherboards come with SATA 6 Gbps interfaces, it makes sense to go for drives having the SATA 3 interface. It gives you a bandwidth which is twice that of SATA 2 drives, hence faster data transfer speeds. 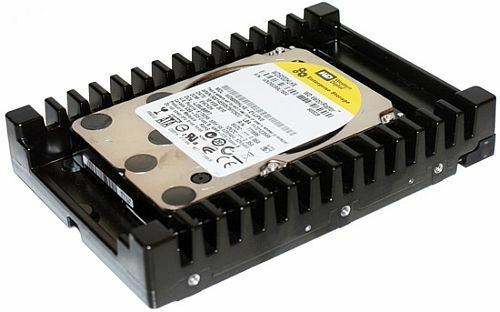 SATA 3 drives are also backward compatible with the SATA 2 interface. Western Digital came out with the first 3 TB drive for internal HDDs. Along with it came the host bus adapter which comes along with the drive and you need to use it if you want to utilize the full 3 TB capacity of the drive. Advanced 4K format replaces the 512-byte hard drive sector with a 4KB sector size. The immediate benefits of this include performance improvement and having higher capacity drives (also more GB per platter). Seagate used the 512-byte sector size for their 3 TB drive to ensure that there were no compatibility issues with Windows XP. 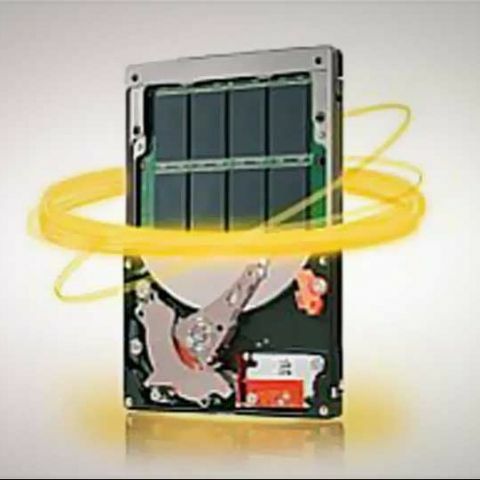 Seagate has incorporated 8 GB of high end Single Level Cell NAND flash in some of its Momentus XT hybrid drives. The plan is to get the best of both worlds. Higher HDD capacity ensures better cost per GB and an SLC NAND flash provides faster access times for frequently used applications, as the SSD acts as a cache buffer. Since most of the time you will be reading off the SSD drive, it will ensure a longer lifetime. Benchmarks have shown a marked improvement in applications and game loading times in this hybrid drive. Armed with the points above, you are all set to make the right buying decisions for your internal HDD purchase. Do not forget to read our Top 10 internal HDD section. You should go for Canon IXUS 240 HS. which mobile give highest internal storage? Is Computer Internal Hard-Disk a Primary or Secondary storage device?